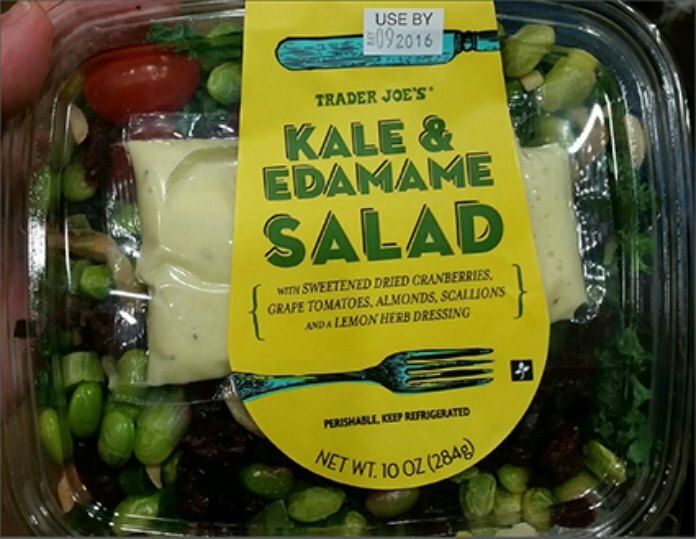 Trader Joe’s Kale & Edamame Salad is under recall for possible Salmonella. Consumers who have purchased this salas should not eat it as Salmonella can cause serious illness. The recalled product, produced by WCD Kitchen, LLC of Fontana, California was sold only in the Midwest. It has the UPC 00967112 with “USE BY” dates of May 05, 2016 through May 14, 2016. The states where these salads were sold include: Illinois, Indiana, Iowa, Kansas, Kentucky, Michigan, Minnesota, Missouri, Nebraska, Ohio and Wisconsin. At the time of the recall, no illnesses had been reported. However, Salmonella can cause an infection called salmonellosis which can cause serious illness or death. Those most at risk are young children, elderly people, and people with weakened immune systems. Symptoms include fever, diarrhea which may be bloody, nausea, vomiting and abdominal pain. In some cases, the infection can travel into the bloodstream and producing more severe illnesses.